With detailed performance metrics, troubleshooting capabilities and powerful reports, JBoss application server monitoring can't get easier. 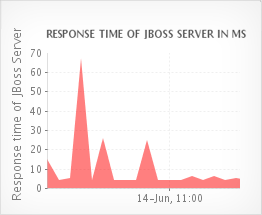 Monitor the service response time, the performance of web applications deployed on JBoss as well as components such as Java virtual machine(JVM), Enterprise Java Beans(EJBs), Java database connection pools(JDBC) and servlets. 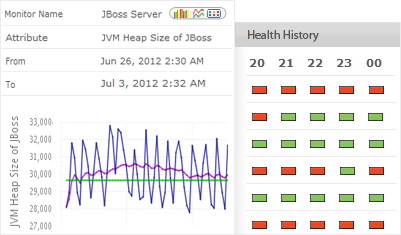 As a result, you get unmatched visibility into the performance of your JBoss server at any point of time. Easily know the JDBC connection pool size, the number of connections in use, and the number of connections created/destroyed. 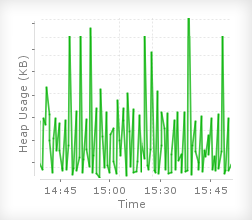 You can understand which connection pool setting to adjust to achieve peak performance of your JBoss server. With proper tuning of the JDBC connection pool settings, you can avoid timeouts, reduce overhead to transaction processing and maximizing throughput on hardware. 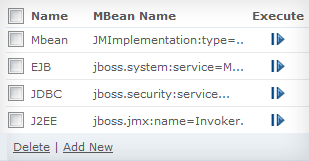 Increase database connection pool size using JMX MBean operations or restart the JBoss server when the memory usage exceeds threshold by executing custom scripts. This sort of automation of repetitive tasks reduces manual work for the IT operations personnel. 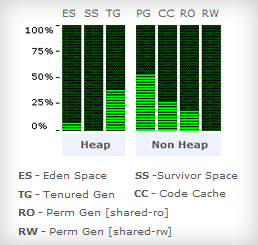 Monitor Java heap and non-heap memory and generate a heap dump to troubleshoot a problem. You can also automate taking thread dumps within intervals to identify problematic code. Learn garbage collection patterns, measure throughput, know about deadlocked threads and analyze other JVM parameters to tune Java performance. With the mobile web client and the native iPhone app, you can keep tabs on the performance of your JBoss servers even while on the go. So in case of a performance issue, you can take corrective action instantly, on the move, without waiting to get into office. Now how powerful is that! Monitor the key performance indicators of physical servers, databases, VMs, and public cloud services such as Amazon EC2. You can ensure key performance indicators of servers and databases like log file growth, CPU/disk usage of the database server are well within permissible range. Identify which resources are utilized well and which are underutilized and plan capacity accordingly. 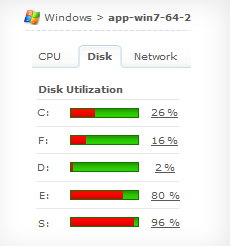 Avoid unpleasant surprises like your application servers suddenly running out of resources. 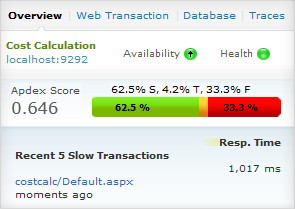 View performance metrics of Java transactions all the way from the URL down to the SQL query that triggered the performance issue. 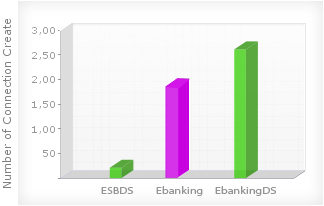 The application development team can use our transaction monitoring feature to accurately gauge database performance, trace transaction flow, and view method level metrics to quickly identify a performance bottleneck. 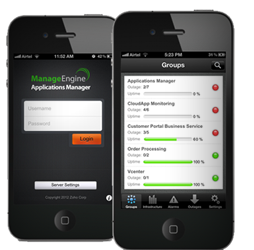 Applications Manager provides out-of-the-box reports that help you perform trend analysis, identify bottlenecks, and plan capacity for your JBoss environment - all this without making any configuration changes.